After six years of meeting clients in their homes and offices, a Denver custom menswear brand now has a space of its own. Bespoke Edge, led by Ron Wagner and his sons Ryan and Brett, opened a 127-square-foot showroom this Monday at 2806 N. Speer Blvd., for the first time offering customers the chance to come to them. Founder Ron Wagner spent his career working at off-the-rack clothing stores before founding Bespoke Edge in 2012. “There are upwards of 200 parts that go into a men’s jacket,” Wagner said. The new showroom, for example, will allow customers to see and touch some of the materials that go into making their suits, such as the canvas, the resilient fiber cloth that contributes the rigidity. “We can’t always bring that to a client’s home or office because it’s just one more thing to carry,” Wagner said. Bespoke Edge’s suits range in price from $1,095 to $5,000, and are made in New York and China. Wagner said customers vary from the typical lawyer and finance professionals, to restaurateurs, engineers and startup entrepreneurs. Men buying suits for their weddings are also a significant part of the business. The Wagners measure clients and talk them through different fabrics, and what kind of suits are appropriate for different occasions. Bespoke Edge operates mainly in Denver and Scottsdale, Arizona. Wagner said it’s also not rare for men from other parts of the country traveling through Denver to reach out and ask for a fitting. Other men’s clothier businesses in Denver include Ratio Clothing in LoHi and Cherry Creek’s new Indochino. 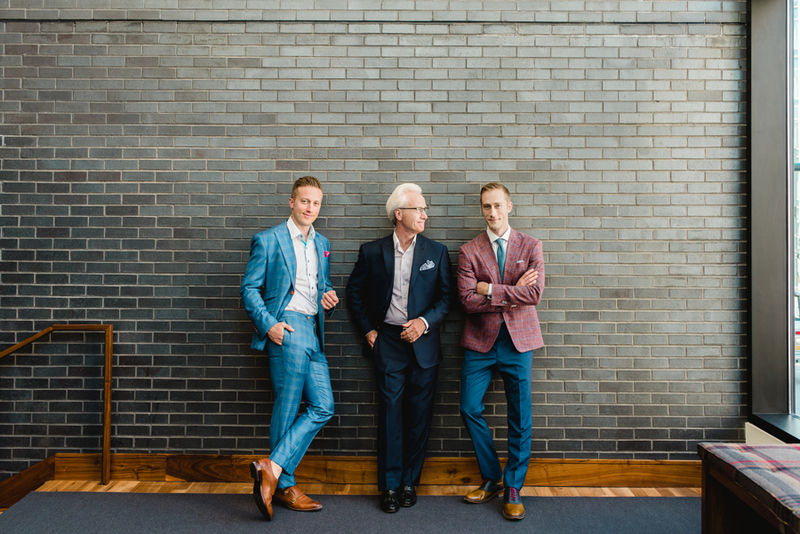 1 Comment on "After six years of traveling to clients, Denver custom clothier opens showroom"
Can’t say enough good things about Ron. Got a suit for my wedding for summer 2015. Still in excellent condition. Fantastic quality.